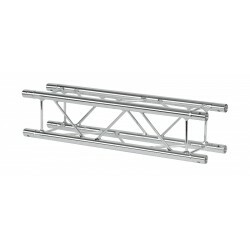 The Nanotruss EX is a compact decorative truss system with a chrome finishing. Applications for this truss system can be Shops, Exhibitions, Museums, Conference rooms, Hotels etc. With this system you can create a modern stylish look in interiors that is also very useful to mount spots. Note: this system is not compatible with the previous Nanotruss series from 2010.